When you own or rent a home, you will soon realize that keeping a toolbox handy is just as important as keeping a first aid kit. Just as the first aid kit is ready for any human emergency, the toolbox is its counterpart for house emergencies. Let us take a rundown of the essential items you will need to store in your toolbox. A good toolbox itself is a great way to start. You can begin with a plastic tackle box with a removable tray. This can already hold tools like a Phillips screw driver, an assortment of nails and screws, and a claw hammer. As you build your toolkit inventory, you may need to acquire a bigger and fancier toolbox. These are usually made of molded plastic and can snap hold different accessories and tools in place. A hammer is one of the indispensable items that should be found in any toolkit. The most common is the claw hammer, which is used to drive in and remove nails. Other types of hammers include a framing hammer, ball-peen hammer, upholstery hammer, wooden mallet, rubber mallet, and sledgehammer. Screwdrivers come in different shapes and sizes. The basic types are the Phillips and slotted ones. These must be a staple in every toolbox. Other types are Torx, Hex, crosspoint, PozDriv and Robertson. Pliers are tools used for leverage and gripping ability. Some pliers have cutting functions. Gripping pliers come in several forms such as round nose, flat nose, and needle nose pliers. 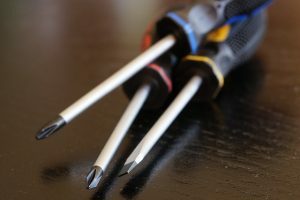 Crimping pliers are ideal for electrical work as they can crimp connectors and electrical terminals. Handyman tape measures are made of stiff metallic ribbon encased in a plastic housing. It is self-retracting and can be locked in place. One that is at least twenty-five feet in length is a must have. A small hand saw can work for minor home projects. Other saws, like back saws have thinner blades and have reinforced steel or a brass back. Frame saws stiffen the blade by using a frame. A putty knife is a flat and flexible blade used for scraping and applying putty. For leverage in turning nuts and bolts, you will need a wrench. 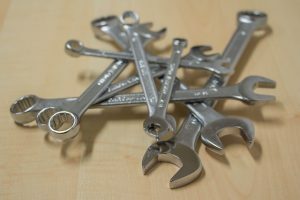 The most basic is the open-end wrench which is a solid metal piece that has a U-shaped opening at the end to grip the sides of nuts and bolts. It would be wise to have wrenches for different bolt shapes. Box-end wrenches are for bolts with a hexagonal shape. Other tools of this type are the crescent, or adjustable end wrench, socket wrench and a Hex key or Allen wrench. Useful for starting holes before drilling, the awl is a tool that will always come in handy. A scratch awl is a steel spike with a sharp tip and a handle on each end. This is usually for scribing a line as a mark for a hand saw or chisel to follow. 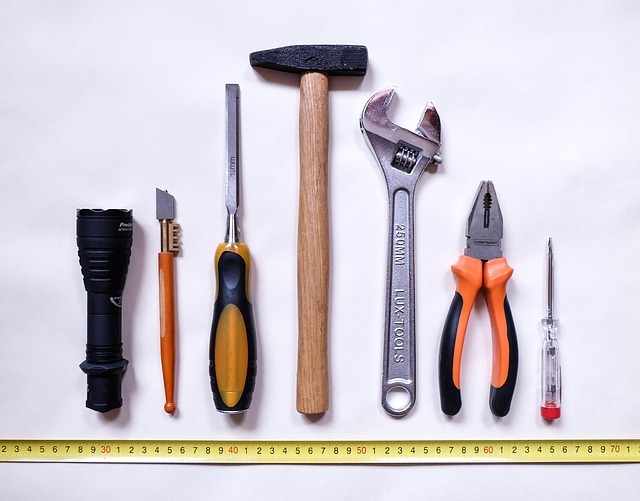 Lastly, though not technically a tool, keeping a good home repair manual in the toolbox can be your best buddy when the need to actually use the toolbox arises. Scout around your local bookstores for one that you can easily follow. Now that you’re all set, keep the toolbox in an easily accessible place. You’ll never know when you will suddenly need it. Contact Us or Submit Your Tip about home tool essentials.